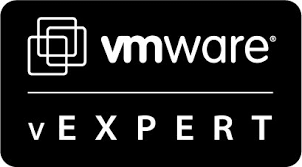 A few weeks ago, I joined the VMware Cloud on AWS VMUG Community and entered a contest to win one month of free Single-Host SDDC. I was lucky enough to be selected as one of the winners. Before I start with the post, I would like to thank the team for selecting me and giving me the opportunity to test this solution. This first post will cover two parts, creating a SDDC for the first time and configuring Hybrid Linked Mode. If you have your SDDC already set up you may skip Part 1 and jump straight to Part 2. The process of creating your first SDDC is very straight-forward and only takes a couple of minutes to finish. Once finished, you will see your newly deployed SDDC in the list: At this point, you can access your vCenter by clicking on Open vCenter. As it is the first time you are accessing it, you will be asked to open access to the management gateway. At this stage, you can click on Internet Firewall rules. This will open HTTPS traffic to vCenter from Any location. We will configure Management Gateway VPN in the next section. First thing we need to do before enabling Hybrid Linked Mode is to configure Management Gateway IPsec VPN to our On-Premises environment. To do so, click on Network tab under your SDDC and expand Management Gateway IPsec VPN and click on Add VPN. After you click Save, download the configuration file. This will be used to configure On-Prem VPN. At this point I would like to thank HobbitCloud’s Chief Network Architect for configuring the On-Prem VPNs on Junipers. More details on how that needs to be configured will follow. Please note that some settings may vary depending on the capabilities of your On-Prem equipment. Make sure to only proceed with this step once the VPNs are connected. To Connect to On-Prem vCenter Server, enter your primary Platform Service Controller and SSO admin details. Click on Link, accept the certificate and wait for the domain to be linked. That concludes this post, I hope you have enjoyed it. There will be more topics covered in upcoming posts. In case of any questions, you can find me on Twitter.